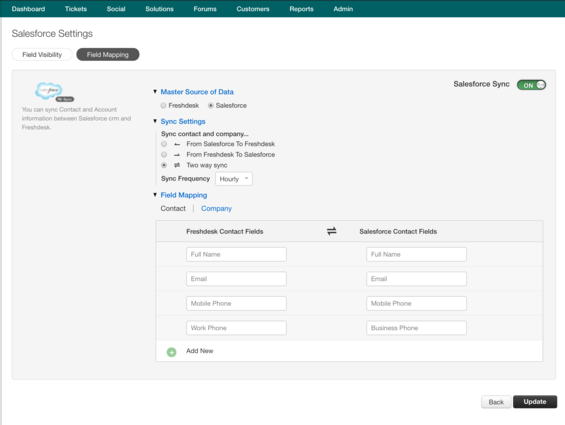 Integrating Salesforce Plus with Freshdesk enables you to view customer information from Salesforce on your Freshdesk ticket and vice versa. 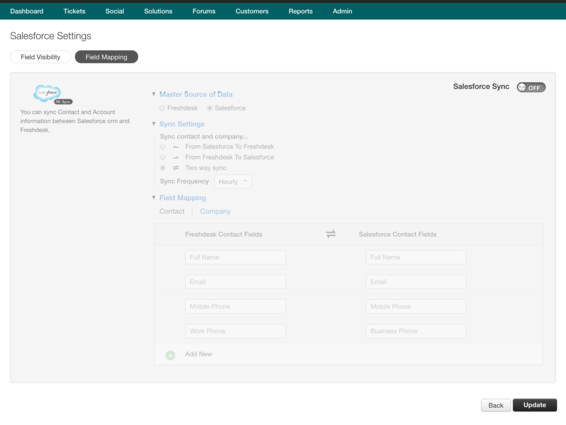 You can also sync contact and account information between Salesforce and Freshdesk. 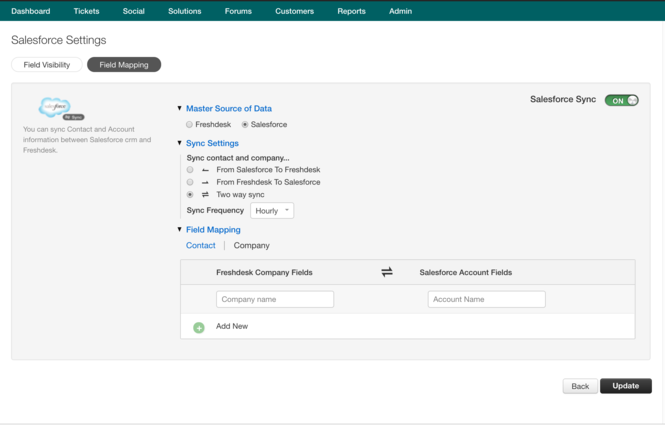 With Salesforce Plus, you can sync salesforce contacts and company information with Freshdesk and vice-versa. With the help of Master source of data feature, you can choose between Salesforce and Freshdesk to be the master or slave for data sync. Apart from default field mapping, you can also map contact and company fields including custom fields. 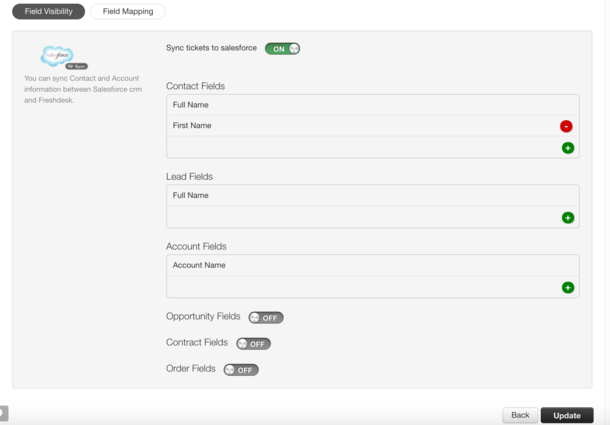 With the the previous Salesforce App,  you can view Contact, Lead, Account fields, and Opportunity fields. As an enhancement with Salesforce Plus, you can also enable contract and order fields that can be viewed in the Salesforce requester information in the Ticket Details page. You can view the latest five entries of the contract and order information. Please note that this app is not compatible with Salesforce Lightning. Note: If you are currently using the Salesforce App with opportunities to link and want to migrate to Salesforce Plus, first install Salesforce Plus before uninstalling the Salesforce App. 1. Go to Admin → Apps → Get More Apps → Salesforce Plus. 3. 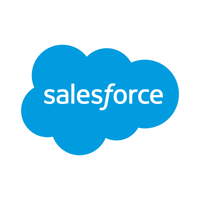 Enter your credentials to authorize Freshdesk to connect to your Salesforce account. Once the installation is complete, you will be redirected to the app configuration page.